CINCINNATI — Charles Tyler Ayers kept his Army uniform immaculate long after the end of the Korean War: Pressed, creased, brown shoes spit-shone to a mirror finish. He wore his hair, too, in the same close-cropped military style until his death Sept. 16, 2018. The uniform passed to daughter Lori Ayers-Brown, who spent the money she had planned to use for Christmas burying her father instead. 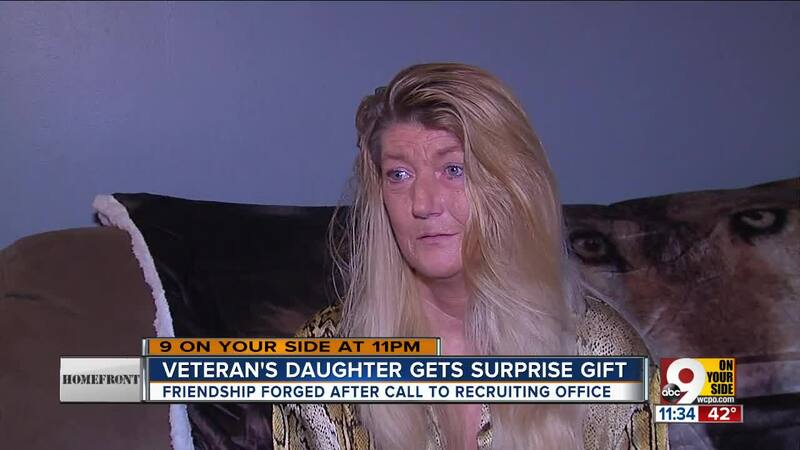 Struggling, she reached out to the Army Recruiting Station in Western Hills in hope of finding financial help. Staff Sgt. Vladimir Medvedev, who answered the phone that day, gave more. Medvedev visited Ayers-Brown’s house, bringing two Christmas gifts each for her grandchildren. There, she showed him the pristine uniform; he asked if he could borrow it and a picture of her father for a short time. “He said he had something he wanted to do with it, and I thought he was going to show it to someone,” she said. He called her again Monday night and invited her to the recruiting station the following morning. When she arrived, she discovered what he had really done with the uniform: Framed it in a shadowbox, still neatly pressed, with a plaque bearing her father’s name. Overwhelmed with emotion, she fell to her knees and cried. “The only other times I’ve seen those uniforms are in the museums, so just to be able to put that in a shadow box and to make sure (she) had it and could actually save it just meant a lot,” Medvedev said Tuesday. Although the pair have only known each other for a short time, Ayers-Brown said Medvedev’s kindness has touched her family in an uncommon way. “He’s been like a hero to me,” she said. He’s helped me through some of the hardest times of my life.